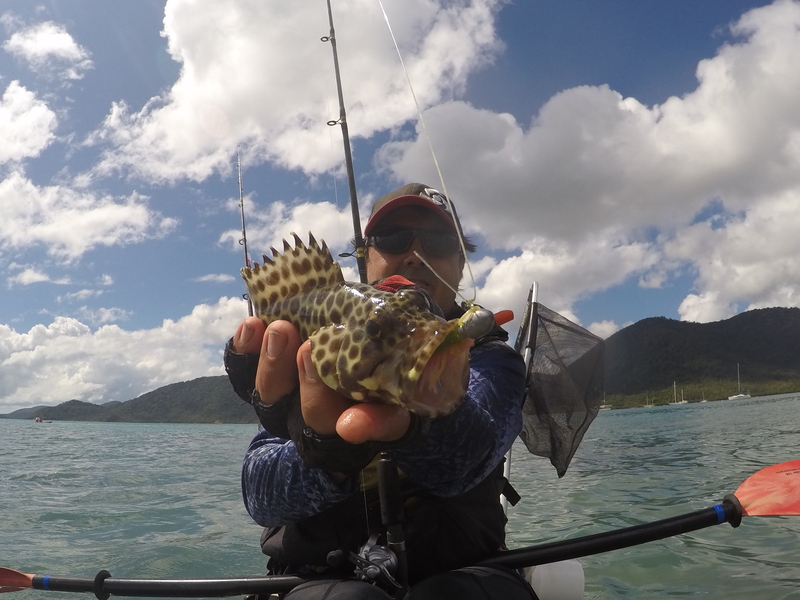 I made my way up to Airlie Beach for a friends birthday/camping trip at the Big 4 in Cannonvale, I was especially looking forward to this weekend as the birthday girls father Dave, is a keen yakker and had brought along his Prowler 4.1. So armed with research on google earth and advice from some locals we headed for our destination hoping to target some reef fish and GT’s. A perfect morning greeted us as we pushed off into the glassy, protected Whitsunday waters and within a few minutes we had masses of different coloured coral species sliding along beneath us with a myriad of small aquarium fish visible from the surface. Flicking soft plastics over a pristine coral reef is something I thoroughly recommend all yakkers to witness for themselves. 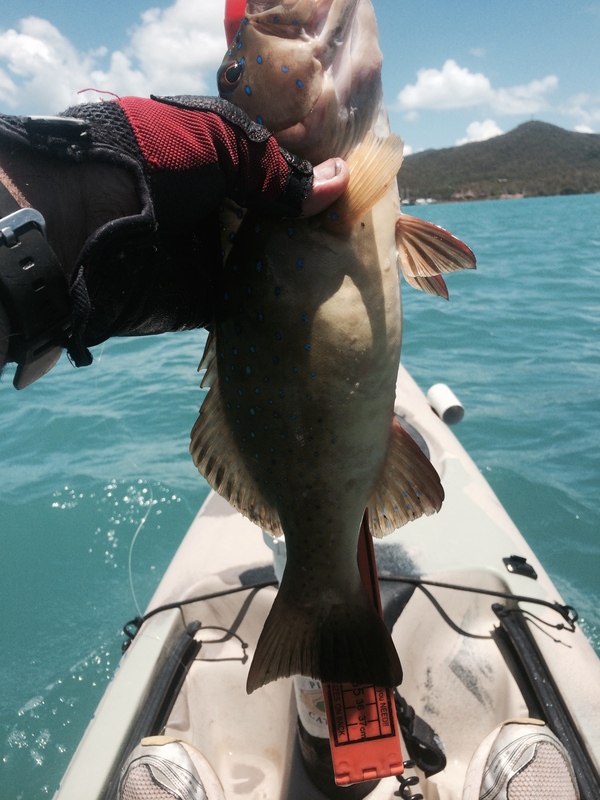 My bait of choice was a 3″ Atomic Prong and the first fish fell within a few minutes which was a little parrot fish. 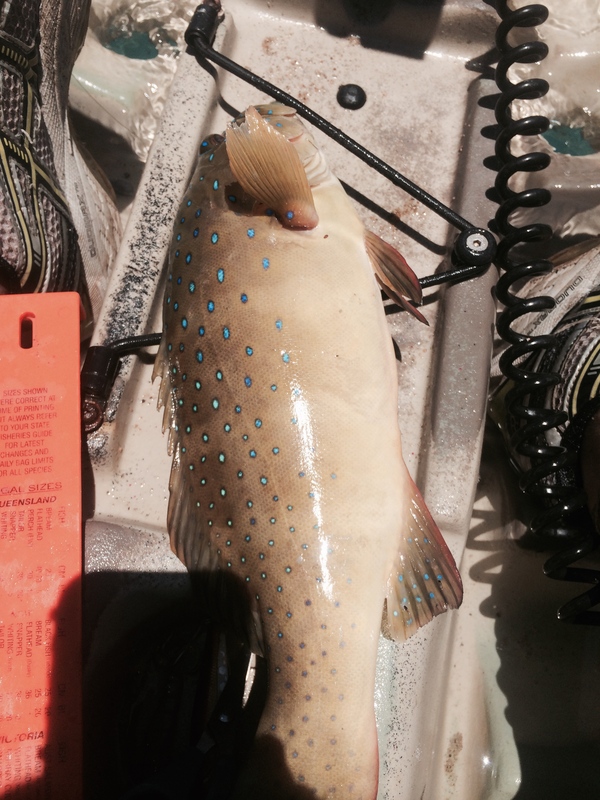 Small sweetlip, stripies, wire netting cod and coral trout kept us busy with my biggest fish for the day being a 35cm coral trout. 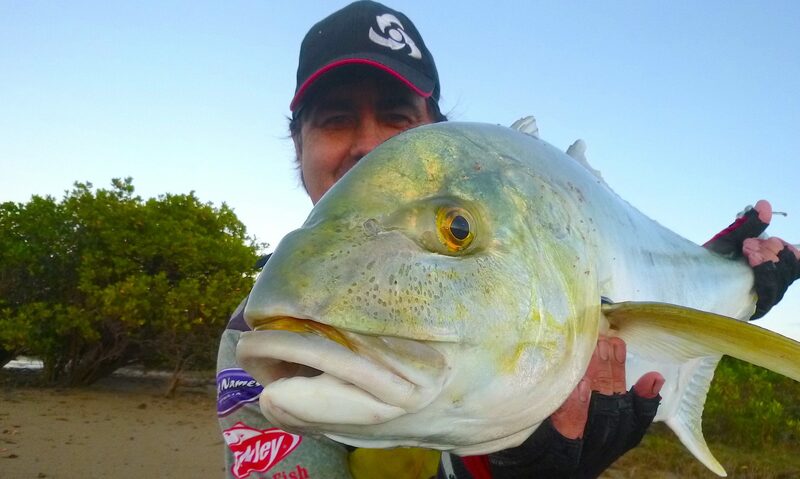 Dave managed the biggest fish, a 52cm GT which proved quite a handful on the shallow reef but he played it like a pro and landed it well. We didn’t clean up on legal fish on this trip but we are more the wiser for this reconnaissance mission and I don’t think it will be long before Dave and I make the hour and a half trip north to hit this spot again. 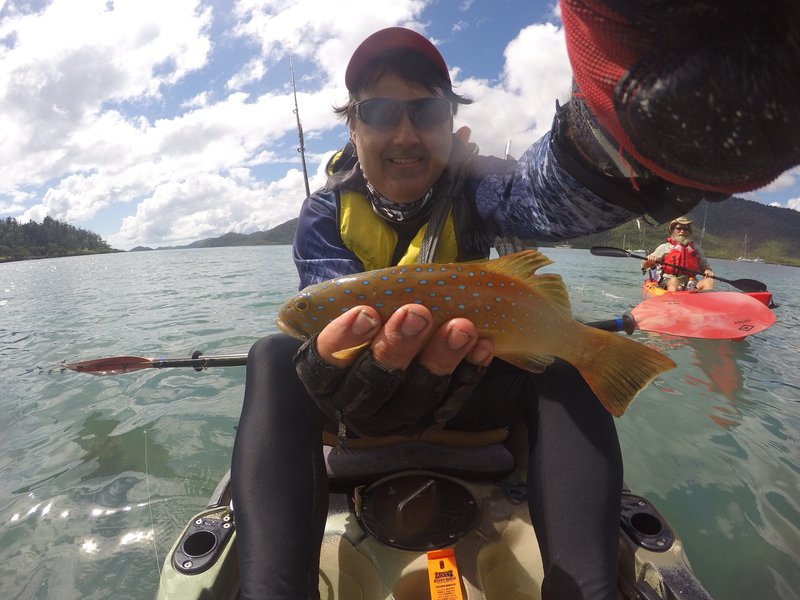 This was one of my best yak sessions in quite a while with a PB coral trout, sharing it with a great bloke like Dave was just a bonus, he even saved my life jacket after I left it at the launch spot, thanks mate! Great read mate, were you out off Shute Harbour?